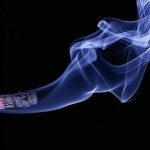 If you are determined to stop smoking cold turkey, then here are some hints and tips to help you stop smoking. These have all been tried and tested. Most are effective for some people. Millions of people have tried to stop, and there are lots of useful tips you can try. Get Help. The truth is that most smokers are actually suffering from some form of tobacco related health damage, even if they think they are not. Only eight percent of smokers who try to stop on their own are clear a year later. In other words, nine people out of ten will not be able to stop without outside help. Smokers who choose to stop with support have the highest probability of stopping for good. So getting professional help gives you a much better chance. 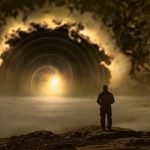 If you are still determined to do it by yourself, here are some tips that might help you quit. Stay away from smokers. If you are living in a house with smokers you are much more likely to take it up again. So try to arrange a smoke free situation at home and at work. If your partner smokes then it is a good idea to persuade them to stop as well. In the first week try to avoid places where you know others will be smoking. Get rid of reminders. Throw out your ashtrays, matches, lighters and anything else associated with the habit. Change the room around. Get rid of the chair you normally smoke in, put a new cover on the steering wheel, buy yourself a really nice outfit that you don't want to stink up with dirty smells. Stay away from temptation. Do not choose to stop on the day you are going to someone's BBQ party where everyone else will drinking and relaxing. If these are your triggers then then the more relaxed you get the more you will want to join in and start again. Keep a tally. Every morning, count how many cigarettes you have, then at night count how many are left, and make a note of how many you smoked. The next day, take out some cigarettes, to leave you with exactly the number you smoked yesterday. That way you limit the number you have available for today. Every time you smoke less, it reduces the number in the pack for the following day. Don't rely on just pills and patches. Some smokers respond well to pharmaceuticals, but many suffer side effects that are worse than the habit they are trying to give up. Pills help with the biochemical effects, but not with the mental effects. 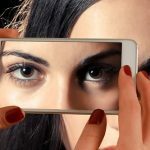 Controlled tests have shown that drugs work best in combination with counseling and hypnosis, so aim to do both if you are willing to try the pills and patches. Know your moods. 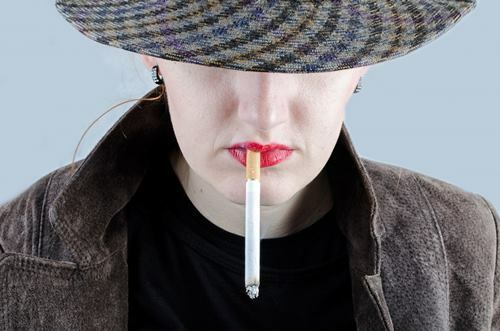 Some smokers are positively reinforced to smoke by mentally linking it with rewards and pleasure, such as having a beer or finishing a meal, or taking a break. Other smokers are negatively reinforced to smoke, they use a cigarette to get out of a stressful mood or feeling down, and get a benefit that way. Of course, some smokers are positively reinforced simply by the idea of having a smoke, and others are negatively reinforced by the thought of feeling bad from not having a smoke. Sometimes it feels like you just can't win. You need to know what motivates you in order to quit successfully. Plan a coping strategy. Smokers who plan in advance what their coping strategy will be do better than those who just wait and see what happens when they stop. Coping is what you choose to do to deal with the cravings. There are two strategies for avoiding temptation: behavioural coping and cognitive coping. Behavioural coping is something you do, cognitive coping is something you think about. You get the best results by using both kinds. Cravings only last three minutes. If you choose to go cold turkey, you will get cravings. But cravings are controllable, each one only lasts between 20 seconds and three minutes. The instant you think of a craving, (and that is all it is, a thought), then go and do something that will engage your brain fully. As soon as you get busy with something else the craving will go away in seconds. Cravings are predictable. Cravings follow a pattern. The first day there are not many, and then the second day there are more, and the most come on the third day. So knowing this, you can plan to be really busy on days two and three and you will have a better chance of not paying attention to them. After you survive the first three days there is another smaller peak in cravings about a week later. That is the last danger point. After that they drop to one a day, and then fade to nothing. It's not that bad. Stopping smoking can be a very scary idea. Having too vivid an imagination is not good. When you actually do decide to stop, it is usually not nearly as bad as you might think. Fear plays a big part in the mental game: if you believe you will have horrible cravings then you likely will. But they are simply the result of scaring yourself. When you quit you might be surprised at how easy it is. Go easy on the coffee. Nicotine from cigarettes and caffeine from coffee and tea interact in your body. Nicotine reduces the effect of caffeine. So when you stop smoking, the coffee you drink actually feels stronger. If you find yourself getting jumpy, it might be the coffee and not the craving. Cut down on the coffee for a while. Set a date. Don't just wait until you think you are ready. Pick a definite date this week or next week and then stop on that date. You can even a pick the time, or an event, like immediately after you go on holiday. Limit smoking areas. Gradually reduce the number of places where you allow yourself to smoke. So start with no smoking in the house, then no smoking in the car, then no smoking within ten feet of someone else, and so on until you have quit completely. Go easy on yourself. If you slip up and have a puff: that's all it is - you had a puff. No big deal. It doesn't mean you have failed. It doesn't mean you are addicted, it just means that you had to have one. You don't have to smoke the whole thing. Having one doesn't mean you must have the second one. Tell yourself that it was just a mistake, and that now you are ready to double the time you had from the last one. Encourage yourself. Keep reminding yourself of your aim, of the benefits, that you will feel better, have more money, be fitter. Remind yourself. Write down all the reasons why you want to quit. Copy the reasons on to several bits of card and stick them on your fridge, on your mirror, on the car dashboard, on the back of your front door, everywhere that will reinforce why you need to give it up. Get some exercise. Exercising will distract you, gives you something to do, will remind you of why you are giving up. It will also make you feel better and sleep better. Keep going. It is common for smokers to have to try to give up five or eight times before they finally get it. Learning to stop gets better with practice, so even if you have to start again, start planning your next quit attempt immediately. Or you might want to try hypnosis? 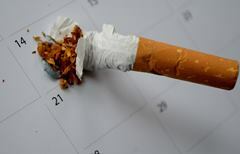 7. keeping on smoking for long periods, years, without even trying to stop. There is no better time to start. All you have to do is to book a time and day, and say goodbye to smoking for ever. Your session lasts about an hour, and costs $100. The best investment you ever made.